Shibui is the art of simplicity, a profound, unassuming, quiet feeling. It is unobtrusive. It is also a spa in Sisters on the Five Pine Campus, home to Five Pine Lodge, the Sister Movie House and more. 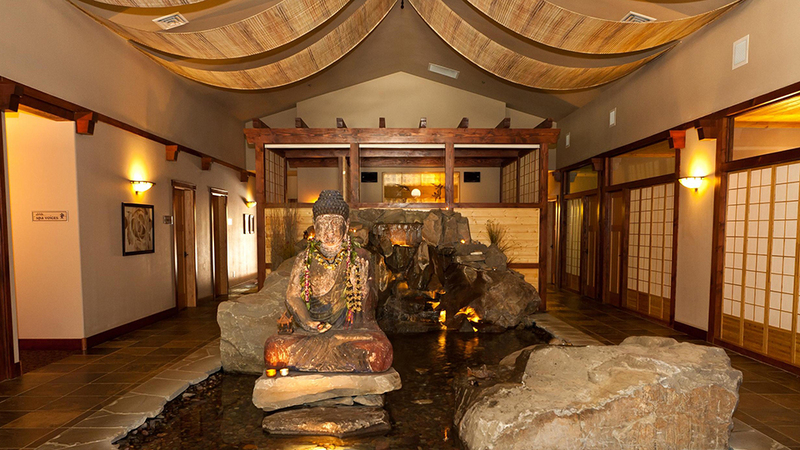 Shibui is a sanctuary for the body, the mind and spirit, where you are invited to retreat from the world in the beauty of the Oregon high desert. Replenish your body with a Thai Bandle Massage, bring forth a glowing complexion with a customized facial or rejuvenate your senses with an Ayurvedic Shirodhara treatment. Enjoy a fireside cup of tea in the relaxation room, luxuriate on the sun deck and soak in our famous thermal soaking tub before and after each treatment. Shibui specializes in group functions, whether they are business-related, wedding parties, family reunions, or just friends. We have catering available for spa groups including full meal orders delivered to you on the patio as well as wine and champagne. Discover the essence of true relaxation at Shibui. For the optimal spa experience, you are invited to check in at least one hour before your appointment. This will allow you time to relax and enjoy their soaking tub, Swedish sauna and cold-splash refresher (don’t forget your bathing suit). Lockers are available for your personal items.